That granny really..shameful..she like materialistic but does not want yo be responsible..
That granny really is something else. She’s so materialistic and it’s a shame that everyone is sucking up to her. 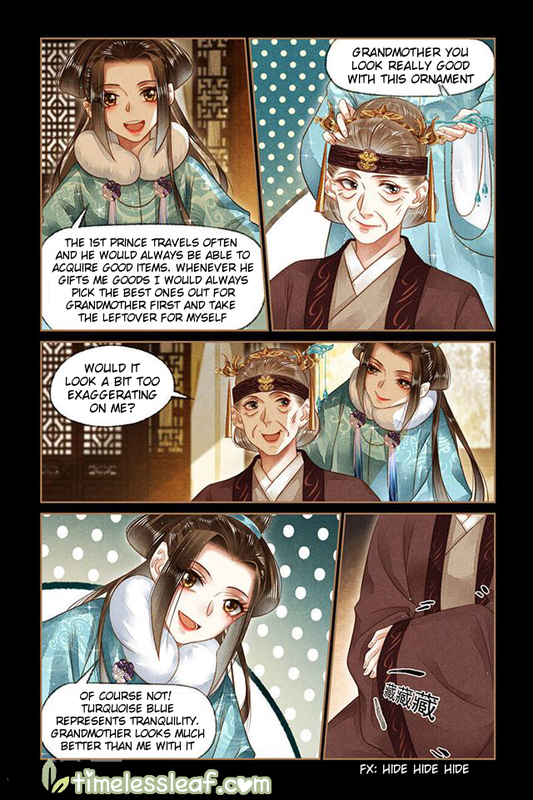 I sure hope that Heng won’t give that old woman anything precious the way her two sisters have been doing so. She’s no better than all those vipers living in the Feng manor. 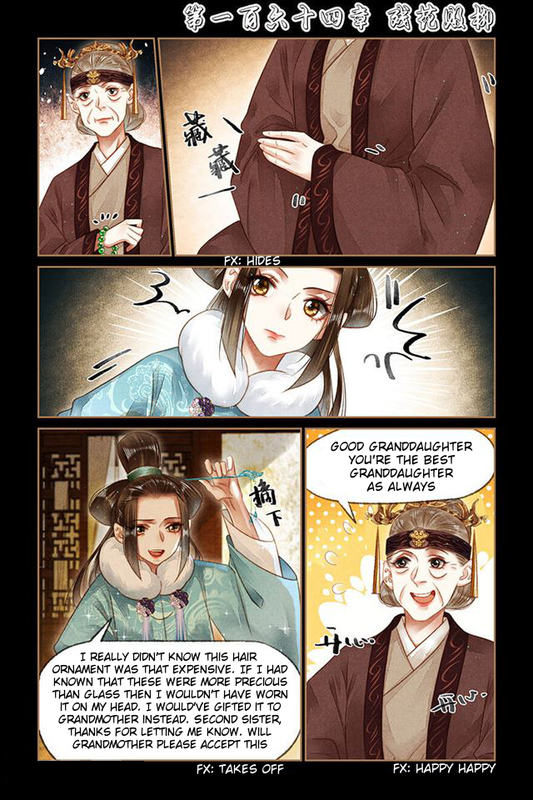 The 3rd sister, her mom and maybe the youngest/newest concubine are the only ones decent in that place. She won’t. They literally set up the current plot in order to figure out who their allies were. 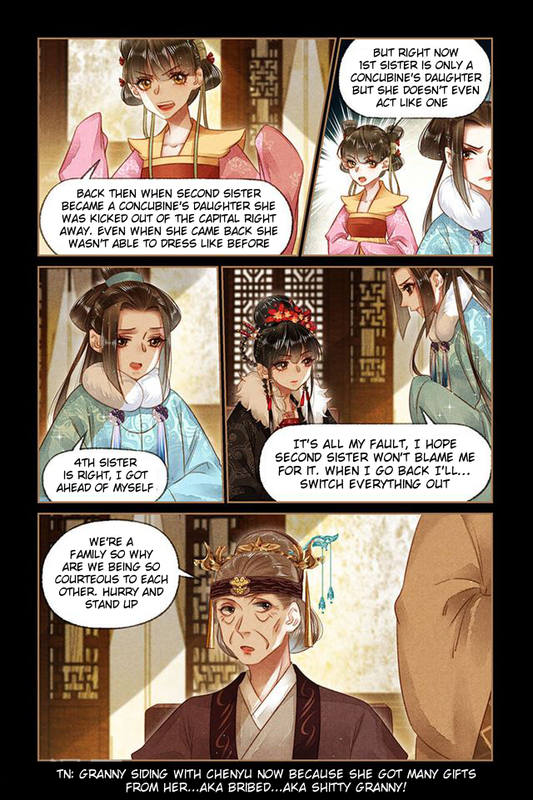 The whole point was to make it appear that 7th, 9th, Concubine Yun, and her had fallen out with the Emperor. They even lied about his injury to further the deception. People like granny deserted her when she was at her “lowest”. She was even sad that her grandmother acted this way. There was a chapter that covered this. 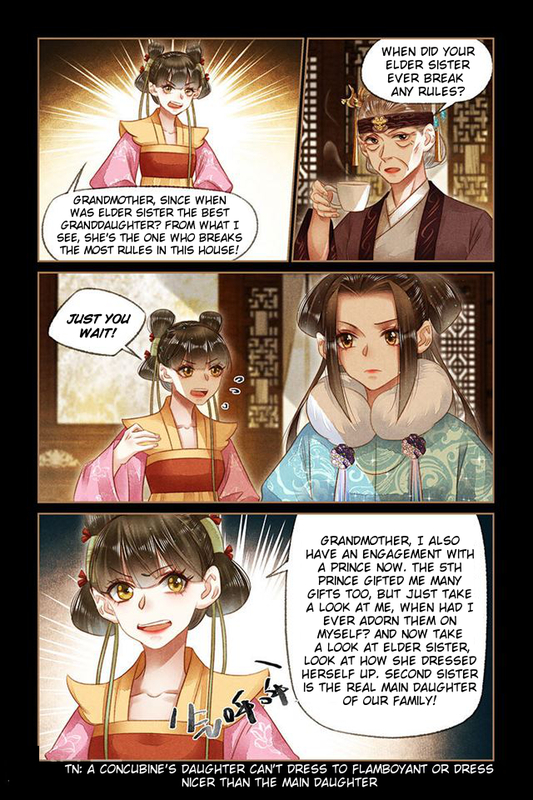 I guess she was hoping to have more than 3rd concubine/daughter as allies in the Feng family. Too bad granny is extremely shallow.